Tata Motors might not be a big name in Europe and the U.S., but it one of the most important carmakers in Asia. Founded in 1945, Tata is now selling a wide range of cars and commercial vehicles, but it’s better known for owning Jaguar Land Rover, which it purchased from Ford in 2008. The Indian company is now trying to expand in markets outside Asia, and it’s joining the bigger, global auto shows with new concept cars. One such vehicle is the H5X, which was launched at the 2018 Geneva Motor Show as a preview for an upcoming crossover. Tata says that the H5X “provides a glimpse of the future generation of Tata Motors SUV’s in terms of design, technology, and sheer capabilities” and that it sports the brand’s upcoming design language, called the Impact 2.0. It’s also the first vehicle based the new Optimal Modular Efficient Global Advanced Architecture, which developed in collaboration with Jaguar Land Rover. Local media says that the production version will be aimed at crossovers like the Jeep Compass and the Mahindra XUV500 in India. 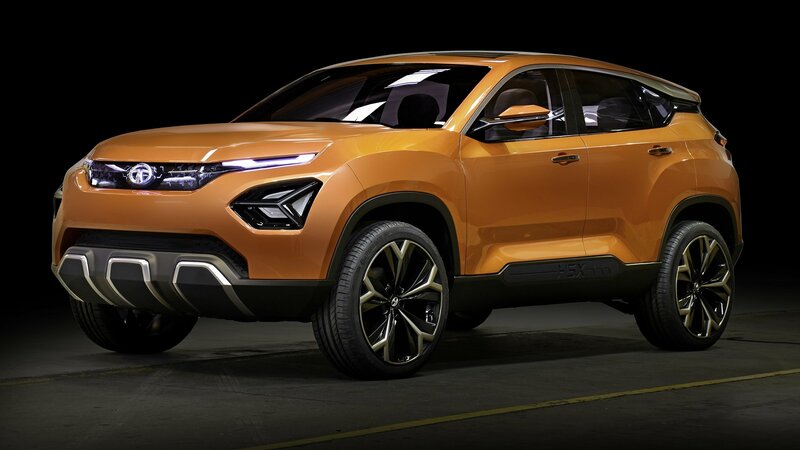 But needless to say, the H5X will probably hit global markets as Tata’s first truly contemporary crossover sometime in 2019. Continue reading to learn more about the Tata H5X Concept.